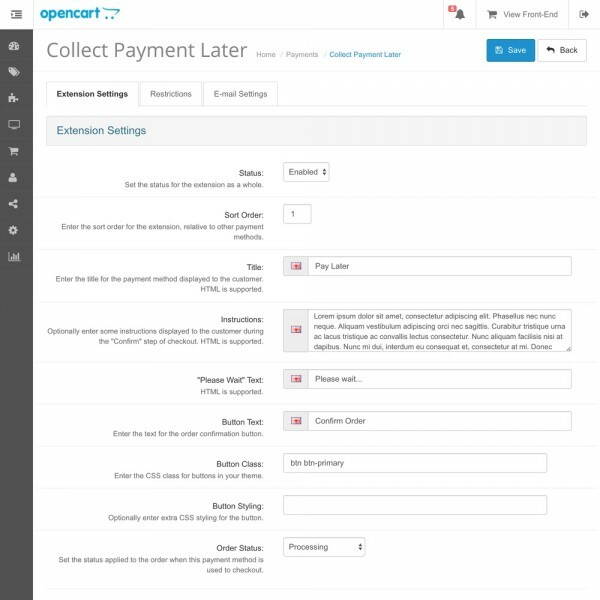 This extension allows you to let customers check out with paying, so you can adjust the order and collect payment at a later date. 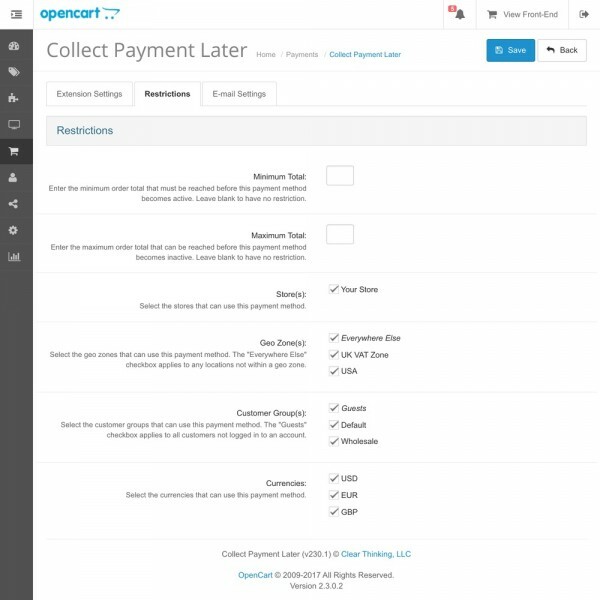 It lets you send a link to the customer whenever you're ready to collect payment, and the customer can pay for their order on the payment page with any of your installed payment methods. 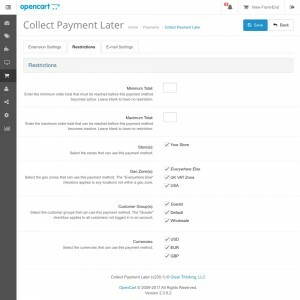 Restrict the payment method allowing checkout without payment based on order total, store, geo zone, customer group, and currency. 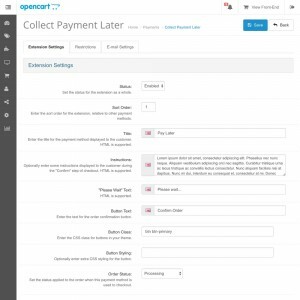 Choose to automatically send the customer their payment link when the order reaches a particular order status, or manually do it by clicking the "Send Payment Link" button added to the Sales > Orders area in the admin panel. 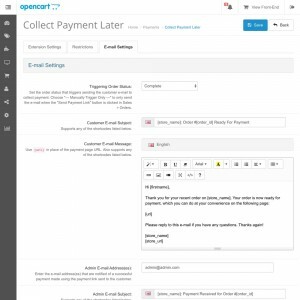 Edit the admin notification e-mail and customer payment link e-mail using the HTML editor in the admin panel. 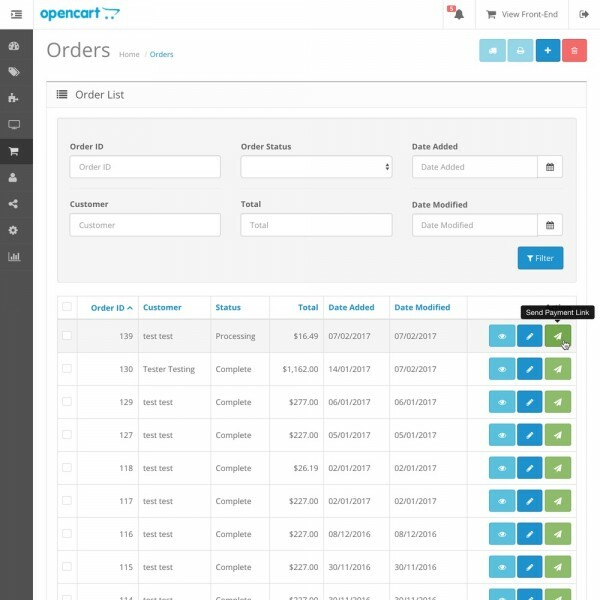 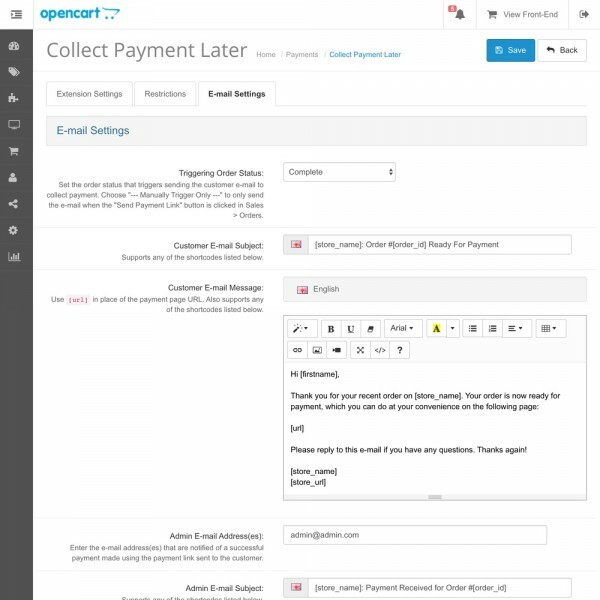 Includes the ability to use shortcodes to pull order information into the e-mails. 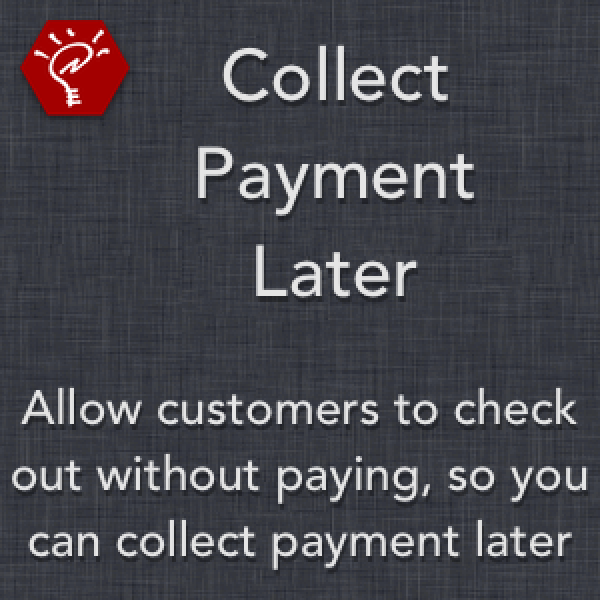 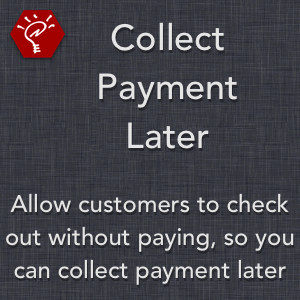 Supports all payment methods that can normally be used in your store. 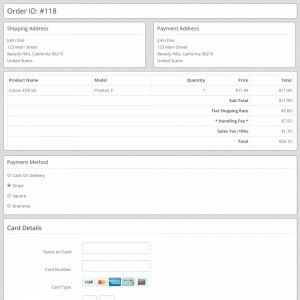 Once payment has been made, the admin will be notified of the payment. 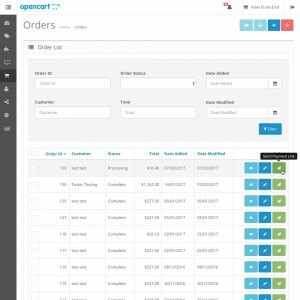 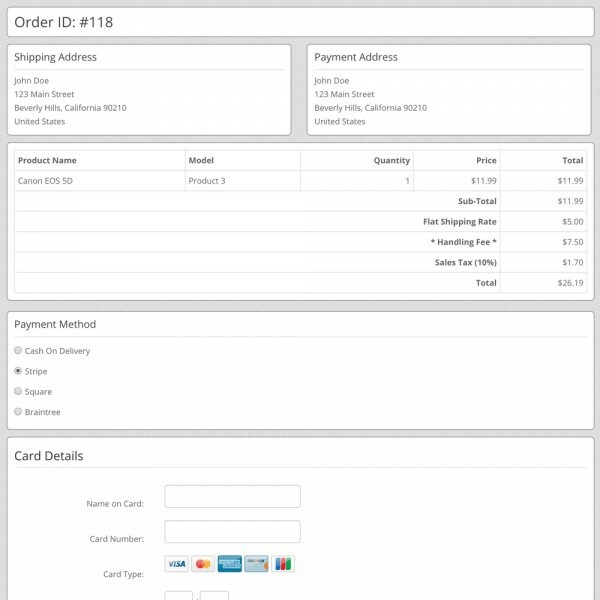 Can be used in conjunction with Edit Order Line Items to create a delayed payment system, where you can edit things like the shipping cost or products on an order, and then send the customer a link where they can pay for and complete their order.